I am always happy with my hair cuts and Mogis’ dye work is always a masterpiece! 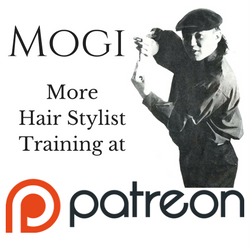 Mogi’s training class allowed me to become more confident and proficient as a hair stylist. Mogi’s training and techniques have truly advanced my professional stylist career. Mogi’s body motion approach to hair cutting taught me so much. I’m so happy I came to Mogi and let him take control, my hair has never looked better!